A teen event at the John Doe Public Library! Celebrate Banned Books Week at the John Doe Public Library on Thursday, September 12th! Every year, hundreds of books are challenged or banned in schools and libraries across the country. Join us as we celebrate these banned books, listen to stories and discuss censorship in America. Share Your Favorite Banned Book! All teens will have the opportunity to read a passage from their favorite banned book (except Harry Potter and The Hunger Games- don't be afraid to branch out!). Be prepared to introduce your book, explain why it was banned, and read a short passage out loud. 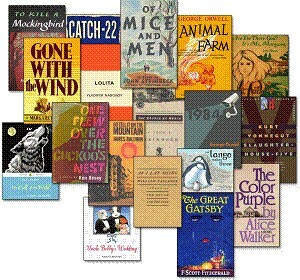 Here is a list of the top 100 challenged books from 2000-2009 to get you started! 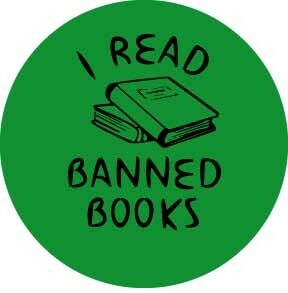 Anyone who shares a banned book or checks one out of the library will get an I Read Banned Books pin.